Get Your Free Auto Transport Quote Now! 1. 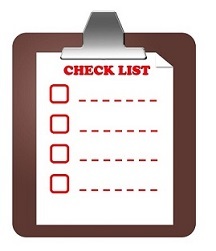 Make sure your car is clean so that preexisting vehicle defects can be seen and logged. 3. Make sure the battery is in good working order and the car starts easily. A vehicle that stops operating in the midst of an Auto Transport will be treated as an inoperable vehicle at pickup. 4. Secure any lose items such as bras, racks, convertible tops, etc. The Auto Transporter will only be responsible for factory installed items. 5. Turn off all car alarms. 6. Don’t top off your gas tank. In fact it’s best to keep between 1/8 of a tank and 1/4 of a tank of gas. 7. Fix any and all leaks. Fluids or oils that drip onto other cars below will cause liability on your part. 8. Remember to note pertinent facts in your original contract. An Auto Transporter may refuse to pick up your car if it’s not what he’s expecting. 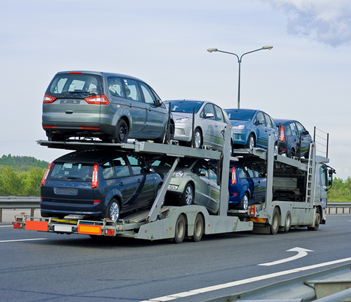 A car carrier must be loaded with weight distributed a certain way and with proper distances allotted. So if your make or model is different from what is expected the driver may not pick up your vehicle, or additional charges may be incurred. Ditto if your vehicle is hard to start, doesn’t have a battery, has a canvas top that was not mentioned, has flat tires, or specialty shocks that have lifted or lowered your vehicle from the norm etc. 9. Make sure you are not using a commodity transporter. Commodity Transporters in order to fill up their truck may put your car into a truck carrying some other product like ice cream or chickens. This is also illegal. Auto transporters are specially licensed to carry vehicles and nothing but vehicles. 10. Make sure you ask whether your car will be picked up or delivered to a terminal rather than “door to door.” A Terminal pickup or drop off can happen if your address is off the beaten path or not easily accessible, or if your schedule will not allow you to meet with the driver in person or if a customer emergency forces a time change that the driver can’t accommodate. A Terminal may be determined by the driver, or mutually by the customer in union with the driver. A Terminal is most often a Tow Service, Gas Station, Repair Shop etc. 11. Make sure you know how wide the pickup window is and the transit time between pickup and delivery. Normally the pickup window is 1 to 5 days around the day you want your vehicle picked up and delivery of a vehicle depends on many factors, e.g., distance, weather, traffic, other vehicles being transported. Generally if you’re using a discount auto transport company your times are longer and a premium auto transport company will be able to ship your car faster, sometimes within a week. Once a driver has your vehicle, he is the only one who controls the schedule. There is a tendency for Dispatchers who have no accurate information to give you guesses or estimates that aren't reasonable or realistic. Only the driver can give you accurate information, so arrange to be in touch with him if you can. 12. You might be able to minimize your risk of road hazard, dripping fluids etc. by requesting of the driver a certain spot on the trailer for your car. The position of your car on the trailer however is 1st and foremost determined by the size and weight of your car. Loading vehicles onto a trailer requires consideration of weight and space because the official safety regulations for traveling on Interstate Highways puts restrictions on the total height and length of the trailer and how much weight can be distributed onto each axel. But it never hurts to ask.